LA based singer, instructor, multi-instrumentalist and vocal percussionist Tracy L J Robertson enjoys working in a variety of musical settings. While studying at Berklee College of Music he performed with and eventually directed the two-time ICCA winning a cappella group “Pitch Slapped”, and performed in ensembles of global influence ranging from Balkan, to contemporary Indian, to Latin, to western jazz and classical. With his predilection and impartiality with music, he has found himself on stage with the likes of Bobby McFerrin, Jose Merce, Victor Wooten, Valarie Simpson, and Dream Theater to name a few. 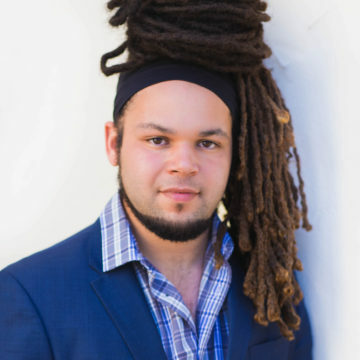 Currently, Tracy works as a freelance musician and tours with the a cappella groups Overboard, M-pact, and Vocalosity as he spreads his passion for life through music as a clinician, arranger, and performer. Tracy is also an avid outdoorsman and spends as much time as he can out in mother nature.